Leadership is a trainer-led course that is delivered over 3 hours. 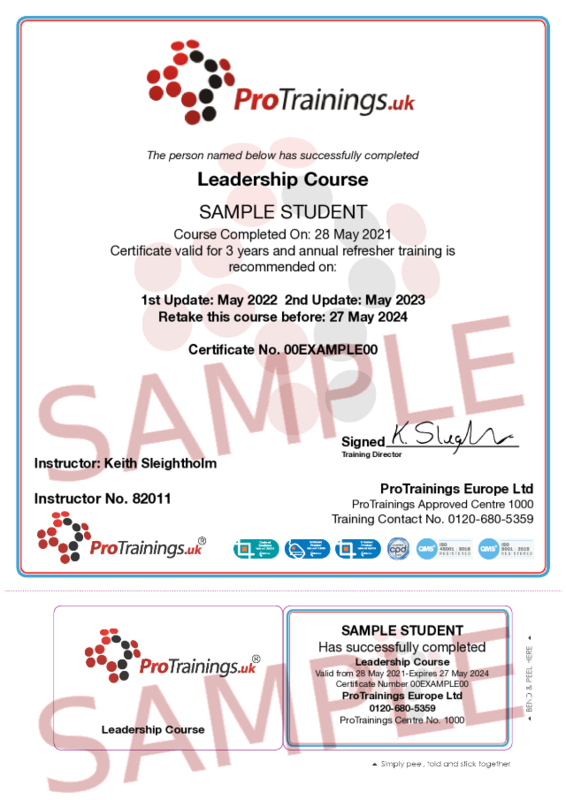 The course aims are to promote understanding of what constitutes leadership, and how it differs from management; to promote awareness and understanding of ethical leadership; to promote understanding of the principles of leadership; to provide information on effective leadership styles and behaviours; to promote understanding of delegation; and to promote understanding of effective communication by leaders. By the end of this session, candidates will be able to understand how to become an effective leader and demonstrate appropriate, ethical and effective leadership behaviours.